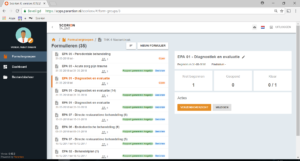 In the Netherlands, several (medical) educational institutes use the Scorion medical e-portfolio. This portfolio measures most of the study activities by the forms and variables students have to fill out during their programm. 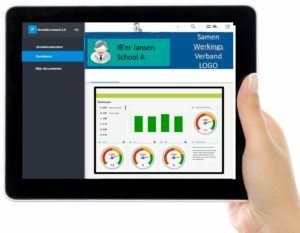 In this project, we specificly have asked medical studies to look at their data an formulate the questions that can tell us anything about studysucces. What does all their data tell them? So the medical portfolio is different to the not a portfolio in a traditional way. The Scorion portfolio measures the educational process. Every educational activity the student executes, is recorded as data. It is measured by filling out little digital forms which are pushed to the students device. Data can also be collected as big data, like timestamps or coördinates. be spoken straight into the feedback micro assessments. Peer-feedback, Teambased learning, 360-degrees feedback, OSCE and about 20 other feedback types. June 2017: The PHD student is stil analyzing the data. One of the challenges we faced was to anonimize the database with all the educational data. De dataset contains educational data (kwantitative (how many forms, measured in time etc.) and kwalitative (scores on activities). About 2000 medical students. 3 years of college. About 600 filled forms each student. 1,2 Mio filled forms. 16 Mio filled variables. All txt variables had to be stripped. All names and personal data had to be deleted from the database. Medio 2016 until june 2017. 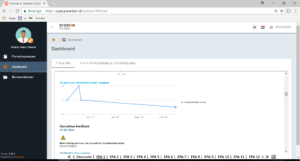 The dashboards are developed. The question for the PHD is: what information on a dashboard can help students to enhance their study performance. 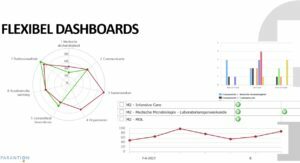 Until we can use the results from the research, we started to create dashboards that provide insights to the student at individual and peer-group level. So the idea is that de data can help the student to measure and compare its study behaviour and act. Q1&Q2 2016: In the first half of 2016 we ask any medical educational institute that uses Scorion, to apply to the project. Finally we like to realise a sponsorship for a Quantified medical student phd research.